The general manager of Foursquare has told TechRadar that the UK is a vital market for the social network, with a renewed focus and a local team ready to ramp up the benefits for British members. A major partnership with American Express in the UK will see cardholders reap voucherless deals and benefits from the likes of Tesco, Pizza Express and Eat. 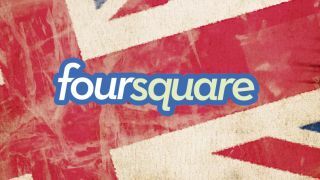 GM Evan Cohen believes that this is the start of a journey towards more benefits for UK Foursquare members and denies that there has been any loss of impetus due to the previous focus on the US. "We've seen big growth and the broader stats and trends direction is very positive," Cohen told TechRadar. "We've recently formally opened an office in London with four employees. It's our third office after New York and San Francisco so our first outside of the US. "We wouldn't be making this kind of investment in the partnership with Amercian Express in the UK if we didn't feel confident. "We feel that people use Foursquare in getting 'specials' - deals and discouts – and what's exciting about the American Express relationship is it brings retailers like Tesco and Pizza Express with many more to come. "So there is much more value embedded in the Foursquare experience with the Amex rewards and partnerships." "It's one of our biggest markets and it has seen 70 per cent year on year growth," he added. "Because of the UK's importance, we are reaching out to big brands to establis presence and [increase] the user base."